Stratos Aircraft – First Flight Successfully Completed! On the 21 November 2016 the Stratos 714 took to the sky. We are proud to have played a part in this program and give our congratulations to CEO Michael Lemaire, CTO Carsten Sundin and the rest of the team. I am the structures manager for the program (with more than able assistance from the in-house Stratos engineers Martin Neumuller and Michael Dagenais and the rest of the engineering and build team) and Abbott Aerospace has carried out all of the structures analysis for the aircraft, headed up by myself and Nirav Shukla – with the exception of the landing gear analysis which was done by our good friends at Endeavor Analysis. One of the many positive aspects of working on prototype programs and start-up companies is that you get the honor of playing a part in making history – you get the chance to play a part in putting something unique into the sky for the very first time. 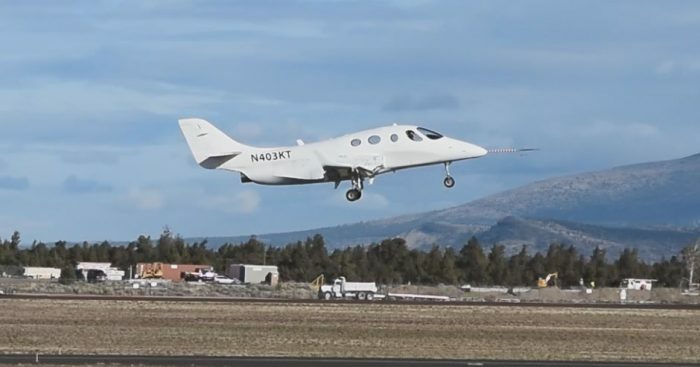 The Stratos 714 was devised as a response to the lower performance single engined VLJs proposed about a decade ago – the D-Jet, the Cirrus Jet and the Piper Jet – and some others. Stratos saw little advantage in developing a single jet-engined aircraft that has lower performance than an equivalent propeller aircraft. They decided to go high and fast, therefore the Stratos 714 has a service ceiling of 41000ft and will cruise at 415KTAS. It also looks great – thanks to Gordon Robinson the chief aerodynamicist and scotch whiskey connoisseur (that’s a long story). Stratos brings to the table a history and experience of developing and working with kit aircraft. 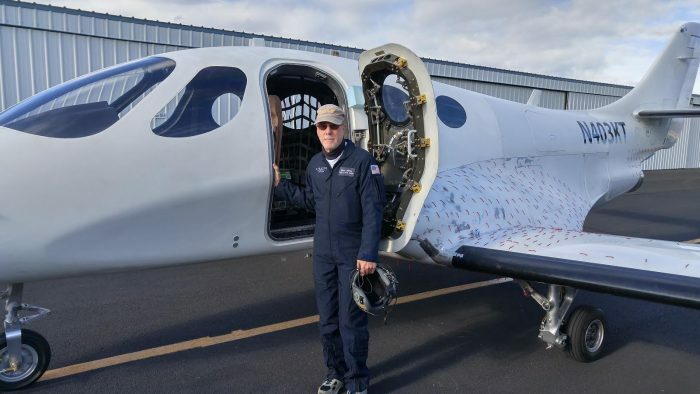 As a senior engineer from the certified aircraft business I felt some trepidation at first – how could ‘home builders’ create and fly a high-performance jet? I look back on my early anxiety and I feel foolish now. Everyone on the project has built a personal aircraft apart from me (if you are going to build an aircraft this turns out to be useful experience – who knew?) and everyone is a qualified pilot apart from me – the ‘real’ engineer. Hmmmmm. Everyone on the project is also multi-disciplined. Puts me in mind of the full saying: Jack of all trades and master of none – but oft times better than a master of one. The Stratos project proves the point. Next steps for the company is to gather flight test data and prove out the performance and handling predictions. Then Stratos have to decide what to do next and they have to find a way avoid the VLJ single graveyard – the only bright spot being the recent release from the certification long-term care unit, the Cirrus jet – and even that ‘success story’ is many times over the original budget and many years late. There is no blueprint for success for VLJ singles getting to market. The upside to this is that the market is not crowded and there is clearly room for competition to the Cirrus jet. Stratos have a plan to get there. I am looking forward to a time when pilots and operators trade in their Cirrus SF-50s to upgrade to a Stratos. For now, congratulations are due to the Stratos team and we are very happy to have played a small part in helping them make history.